December 8, action in support of Volodymyr Balukh, Ukrainian activist illegally condemned in Crimea was held on Heroes of Heavenly Hundred alley in Kyiv. The organizers of the event were the Crimean Human Rights Group and "Ukrainian House", the Crimean Center for Business and Cultural Cooperation. The participants placed the banner over the Heroes of Heavenly Hundred alley in support of the Ukrainian activist. 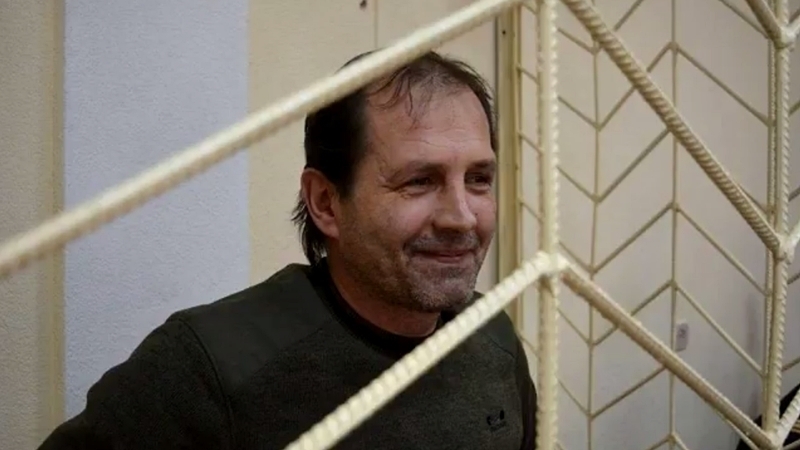 The placement of the banner on this site is symbolic, since Volodymyr Balukh was deprived of liberty after he attached a sign to his house in the occupied Crimea with the inscription "18, Heroes of Heavenly Hundred Street" along with the Ukrainian flag. December 8, 2016, marks one-year anniversary of Volodymyr Balukh's prosecution. The occupation authorities failed to force the activist to remove the flag of Ukraine and the "Heroes of Heavenly Hundred" sign from his house in the Crimean village. Therefore, the case was fabricated against the Ukrainian activist. December 8, 2016, Volodymyr Balukh was unlawfully arrested. The Ukrainian spent almost a year in a remand center. December 1, lawyers ensured for him a change of preventive measure for house arrest. However, Volodymyr was forbidden to leave the house, communicate with his wife, read letters, use both Internet and phone. He could not undergo a medical check-up for the treatment of his heart, back and kidney diseases that have developed as a result of prolonged staying at the remand center. Politically motivated criminal case against him continues. Baluch faces up to 4 years in custody. Earlier, despite the poor health, the occupants decided to continue the “court hearings” on Balukh case. December 6, during the “hearings of the Razdolnenskyi district court” Volodymyr Balukh felt bad, his pains in the back area worsened, so it was hard for him to sit or stand. Federal Officers of the Penitentiary Service took the activist to the hospital.